Special needs children require a lot of love, attention, and care when it comes to homeschooling. When you choose to homeschool them, you are already aware of their special needs and how they can impact your children’s learning process. This is greatly important because it helps you know which approach is the best to use. There are many resources out there that are designed to help parents homeschool their children with special needs. Podcasts for special needs homeschool moms provide encouragement, help and tips for homeschooling children with special needs. As a homeschool mom you know that the word busy doesn’t accurately describe most of your days. 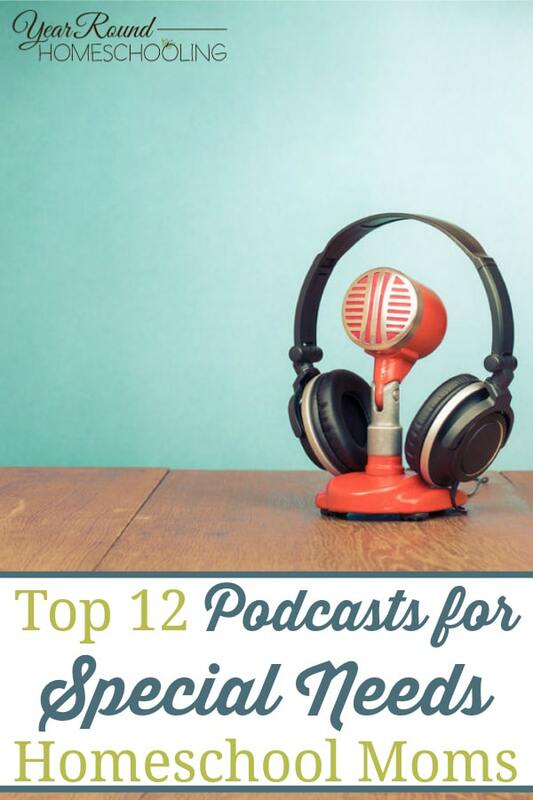 Podcasts are a great way to make time for yourself as a homeschool mom without taking away from your tasks of the day. 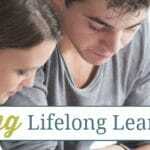 These podcasts for special needs homeschool moms are prepared with you in mind! Carrie Clark, a speech and language pathologist has a lot of experience and expertise with teaching kids who have a speech and language challenge. The major focus point of this podcast are activities for children who struggle with speech and language. The podcast tackles cases such as stuttering, argumentative communication as well as alternative communication. It also teaches children the art of delivery and communication through various tricks and tips. This radio show podcast is designed to connect the community with special needs kids and their parents. It empowers special needs children by instilling confidence and support in their lives by bringing society together to rally for their support. This podcast also provides a very practical approach to parenting with lots of information pertaining to numerous aspects of parenting kids with special needs. This podcast is unique in that it offers real-life experiences about homeschooling special needs children. The lessons offered in this podcast are raw and very real. There are a lot of interviews with parents who have special kids as well as experts on the subject. You will learn about the challenges they face, their triumphs and how they cope with various circumstances. There is a lot of information that you have access to in this podcast pertaining to how to homeschool kids with learning disabilities as well as other challenges. You also have the opportunity to ask questions and learn from experts. Parents with kids who have attention deficit disorders can learn a lot from this podcast. This podcast pulls in different experts in this field who come to answer questions relating to family life, education, and work. If you desire to make your kids comfortable when homeschooling, this is the podcast to listen to. Ellen Stumbo & Erin Loraine come together to help you navigate the joys and challenges that come with raising children with special needs. They cover special needs topics such as; holiday survival, life hacks for special needs parents, cerebral palsy and much more. Learn how to better understand you and your special needs child through the podcast interviews with authors, psychologists, advocates, children’s foundations and more. Topics include Autism, Aspergers, ADD, Depression, Dyslexia and much more. Kim is a special needs parent whose daughter has severe Autism. She is passionate about searching for the right answers and sharing what she learns along the way. You’ll find 40+ podcasts about high school, college, vacationing, housing, seizures and more among the topics she covers. The Parenting Special Needs Magazine’s podcast provides practical tips, shares life’s lessons and tackles challenges. There are episodes that cover art therapy, survival mode, siblings, behavior and more available through this podcast for special needs parenting. This podcast is hosted by the Bam! radio network and together with Sharon Plante they address a wide range of educational issues. The purpose of this podcast is for educating students with disabilities for example; writing tools and technologies for special needs students, expectations regarding children with learning differences and the challenges of dyslexia. Just under 100 episodes featuring Autism educators and experts that come together to share support, resources, inspiration and more to encourage those closest to special needs children. If you’re struggling to find time to attend conferences or seminars to help you as you parent special needs children, this podcast is for you. Available on iTunes, you’ll find 70+ episodes from educators, medical personnel, advocacy groups, religious persons and more. Their mission is to help students succeed through parent-directed special education homeschooling. Each week they host a guest and discuss issues relevant to families who are homeschooling students with special educational needs. Homeschooling special needs requires an extra dose of strength, grace and determination. 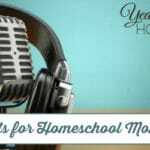 It is my hope that these podcasts for special needs homeschool moms are encouraging and helpful to your homeschooling journey. Looking for more podcasts for homeschool moms? Click here. What are your favorite podcasts for special needs homeschool moms?